Hi Shimmerz fanz! 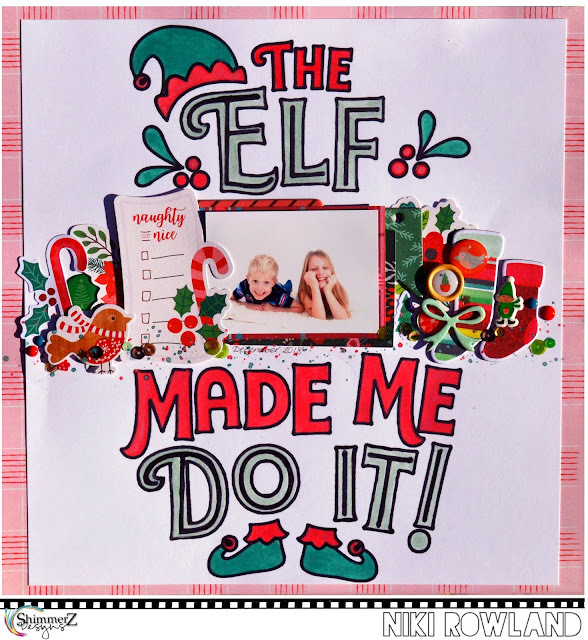 Niki here today and I'm sharing a christmassy layout today. I created the background using a Silhouette cut file which I drew using the pen holder and a black sharpie pen. I usually use a sketch pen but the sketch pens are water based and therefore smudge when you try to paint within the lines. So I thought I'd try a Sharpie. It worked super well but probably has a bolder line than I would like. I'll have to do some research into other permanent pens that have a finer tip. The Creemeez Red Necking and Shimmerz Royal Red are pretty similar in colour but the Shimmerz has more shimmer. 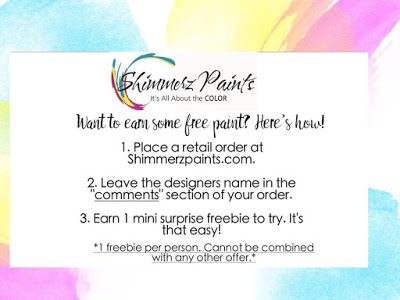 I love the Shimmerz water colors so much becuase they are already mixed and lovely and shimmery. I admit to not having many Creameez mainly becuase I prefer my paints to have lots of shimmer but I was pleasently surprised to find that the Creameez does shimmer a little bit. I like the consistency of the Creameez and Inklingz becuase the amount of liquid I add is up to me. If I add a lot of water then the paint is more fluid but if I only add a little then I have this really gorgeous thick paint that is very easy to control when painting within lines. The light green colour is called Inklingz Freshly Minted and is such a pretty colour. Perhaps not traditional Christmas but I made it work lol. After my painting was done I then built the rest of my layout using papers and embellishments. To finish off I also added lots of paint splatters under the photo and along the line of my embellishment/photo cluster. I added a few gorgeous Spiegelmom Scraps sequins too from the Holly Berries mix. I've used a mixture of scrapbooking collections: Pebbles Cozy & Bright and My Minds Eye Jingle All the Way mainly. I love how there are so many Shimmerz colours that there's never any problem coordinating with paper collections!